Strong price gains in the minerals used in lithium batteries are seeing some listed firms shine. A former Saudi Arabian oil minister recently quipped “the stone age didn’t end for a lack of stone”. His implication was that the oil age may end before we run out of oil; and if you look at oil prices over the last couple of years, you may be inclined to agree. With oil falling, the prices of the components of lithium-ion batteries have been rallying strongly. Lithium-ion batteries are some of the most energy dense batteries in common use, which means they are perfect for mobile energy store, such as the batteries in an electric vehicle. 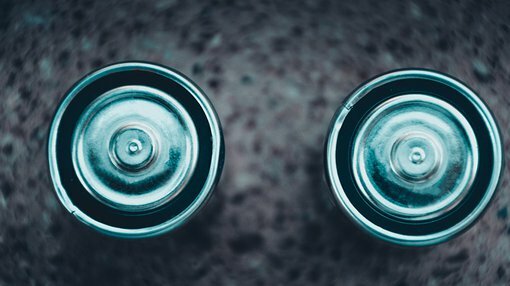 Commodities like lithium, cobalt, nickel, and graphite are all important in the production of lithium-ion batteries, and they have thus enjoying strong price gains in recent history; as an increase in battery production has led to the demand of these minerals sometimes outstripping the supply. Under these conditions, we have seen some materials explorers and producers perform very strongly. Lithium producers and explorers like Galaxy Resources, Orocobre Limited, and Lithium Consolidated Minerals Exploration (LCME), are all on strong uptrends in share price. Graphite producers, too, are enjoying their time in the sun, with market leader Syrah resources rallying from a low around $2.20 a share in April of this year, to a high of $3.90 in October. A lot of the strong performance in both share and commodity price can be put down to either real, perceived or forecast shortages in these key commodities, due to an incredible increase in global battery production capacity. Over the weekend, the West Australian published an article titled “WA in driver’s seat to power new lithium battery world”, but the reality is that Australia as a whole has a strong propensity to the production of commodities necessary for battery production. Indeed, Australia’s strategic advantages in this space have not gone unnoticed, with a New York based consortium recently announcing a proposal for a $2 Billion AUD lithium-ion battery factory in Townsville, North Queensland. Whilst it’s true that many of the firms in the battery materials now trade at fairly high earnings valuations, investors are likely looking towards future potential earnings, rather than current results. Similarly, if you had the opportunity to purchase shares in oil companies at the start of the 20th Century, you would most likely be happy paying a slight premium.